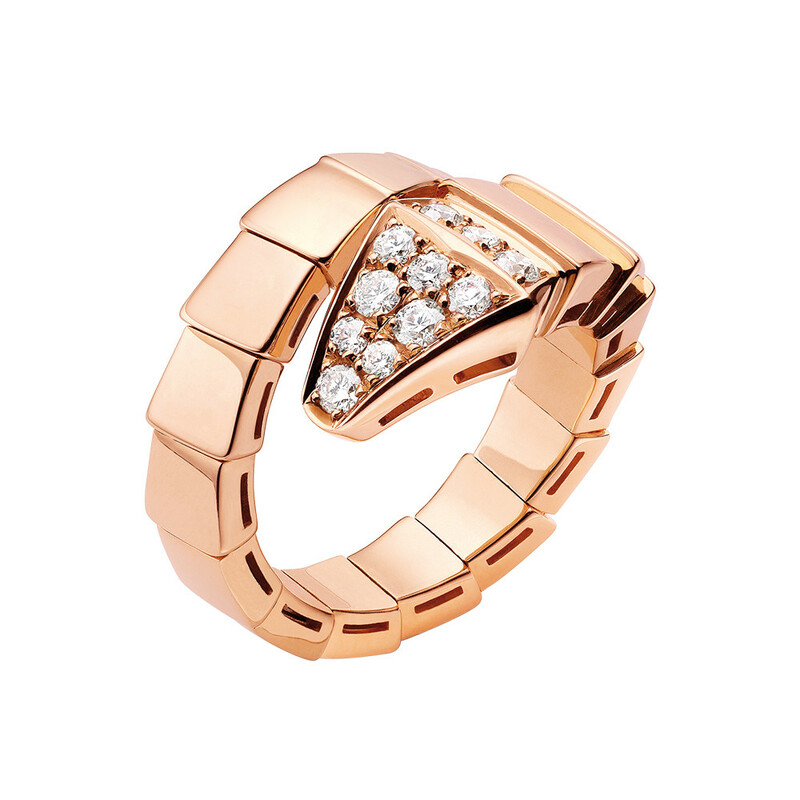 "Serpenti" ring in polished 18k pink gold with pavé-set diamond head. 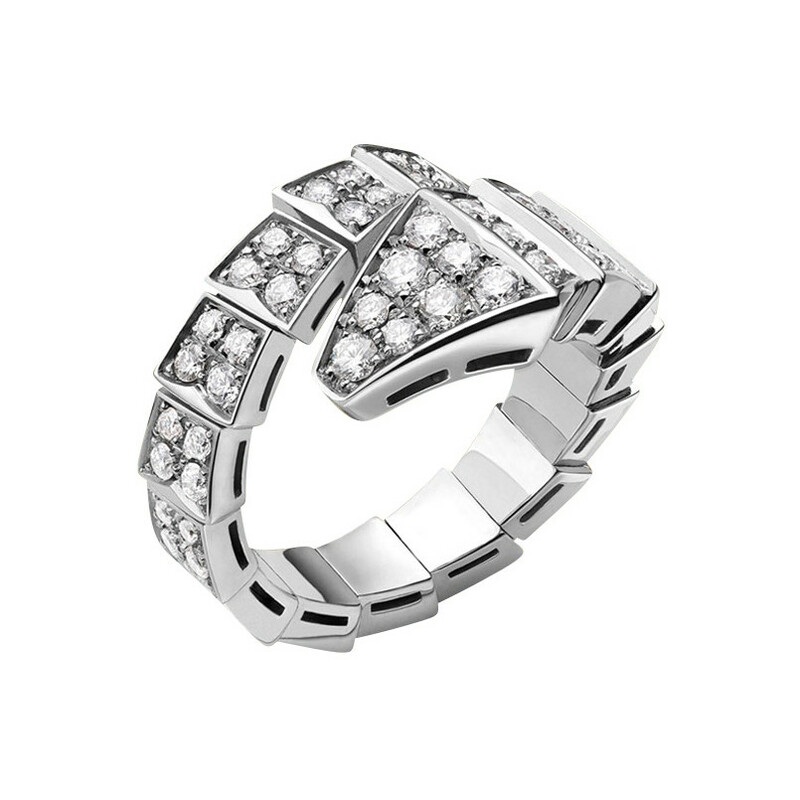 Fifteen round brilliant-cut diamonds weighing 0.55 total carats. 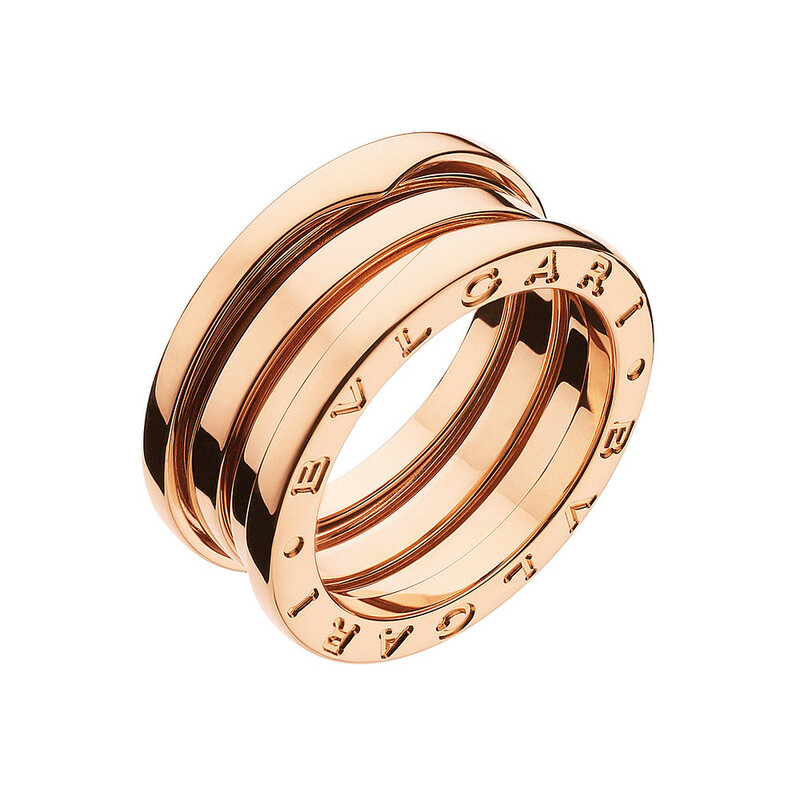 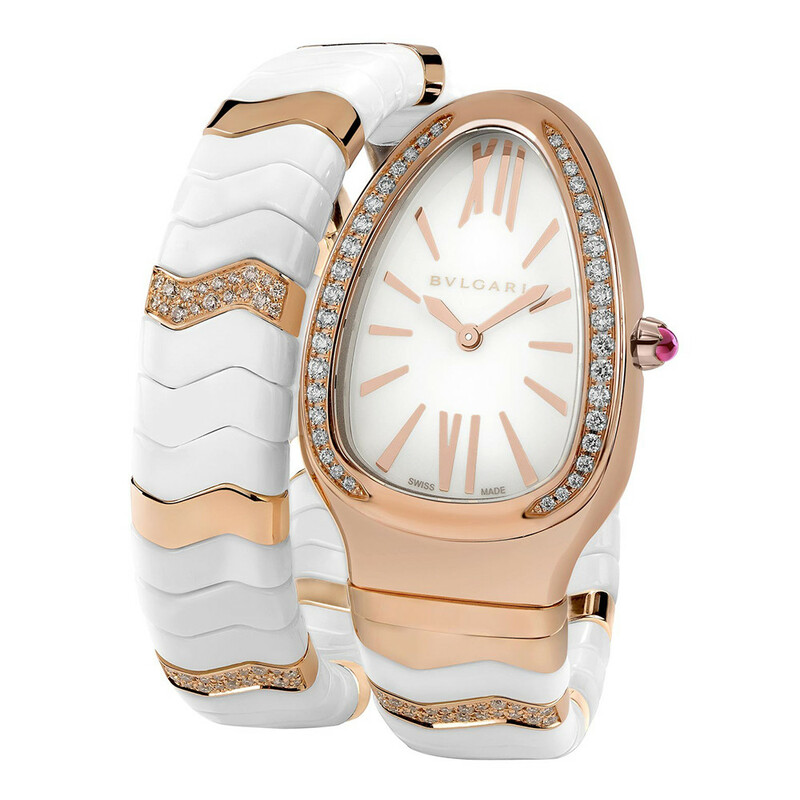 Designed by Bulgari. Extra large size (ring is semi-flexible to fit sizes 9.5-10.5).